Aesthetics are subjective, and that’s a point that we adhere to here on bit-tech, especially when it comes to reviews of cases, where the external design can lead to reaction of love or disgust depending on the beholder. It’s the same with lighting too, and while few people would object to a simple white light to illuminate their tempered glass-equipped PC’s innards, lighting effects and RGB lighting are an altogether different matter. Driven in large part by interest in customising gaming peripherals, most notably keyboards, RGB lighting has by now invaded every area of PC hardware, allowing you to colour-match certain components to the colour scheme of your case or other hardware. Somewhat ironically, it’s why shrouds and heatsinks are so often colour-neutral now, as this avoids potential colour clashes, so RGB lighting can more easily be tuned to dish out the same colour as the rest of your PC. 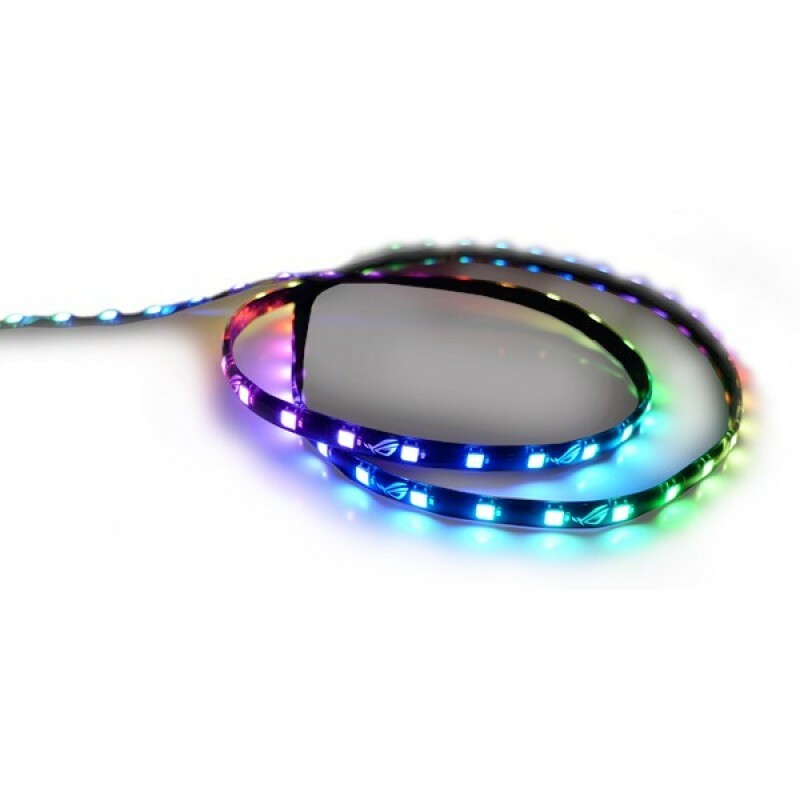 There are lighting effects too, and with the introduction of addressable RGB lighting, digital lighting effects are now the new must-have feature when case manufacturers include RGB lighting in their products. Due to size of cases, we’re not talking about a couple of small LEDs as we would with a mouse or headset. The latest cases come with premium RGB fans, LED strips, and/or lighting controllers that tap into software or at the very least allow you to control the lighting from a wired controller. Most premium cases include some kind of RGB lighting now, such as the Phantek’s Evolv X and Corsair Crystal Series 680X, although companies such as Fractal Design like to keep things simple even with premium cases such as the Define R6. Some include it in more subtle ways, illuminating small areas of front panels and PSU covers, while others go all-out with RGB fans shining through glass front panels. It’s each to their own here, of course, and personally I lay somewhere in between retina-burning mode and no lighting at all. I think it adds pizazz to a build to include some lighting, even if it’s just a couple of single-colour LED fans or strip. This is especially so if the system is water-cooled, as it can make coolants and tubing really pop visually. The difficulty for case manufacturers, though, is where to draw the line and how to please as many people as possible. I think both of those points are still in progress; we haven’t seen a backing down of RGB lighting, and case manufacturers are still experimenting too. However, that doesn’t mean that limits haven’t been reached. I’m talking specifically about the new Corsair Crystal Series 680X here and not so much about how much lighting is involved. The three RGB fans aren’t too garish, and the lighting looks quite eye-catching through the tinted glass panels, but there’s another issue here aside from whether you’ll still be seeing those lights when you close your eyes tonight. Price isn’t something that’s been a major concern where illuminated cases are concerned until very recently. You often get different options of the same chassis design with slightly different pricing to reflect the amount and type of RGB lighting, with illuminated models typically only costing a little more. The 680X, though, costs £220, and while there’s no direct comparison, we can look at the lighting components’ value as well as the Air 540, which is a near identical case apart from a few tweaks. The Lighting Node Pro controller with bundled fan hub and three LL120 RGB fans costs £90 at retail, while the Air 540 will set you back less than £120. 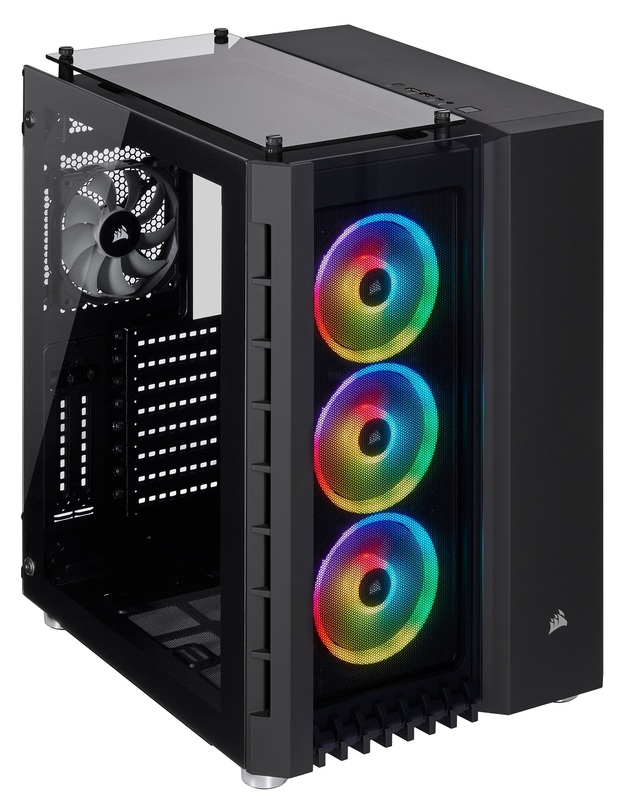 The 680X does have tempered glass panels and metal feet, but the rest of the case is very similar, meaning that the huge price premium you’re paying is largely down to the RGB lighting. The trouble for me is that Corsair does not appear to have a non-RGB-equipped version of the 680X, and this is surely polarising. It means that in buying the case you’re ploughing a huge proportion of the asking price into RGB lighting and not into the case itself. If the 680X had also improved massively on the excellent but ageing Air 540, this wouldn’t be too bothersome, but the trouble is it hasn’t. In fact most of it looks identical with no attempt to keep pace with the competition apart from the tempered glass and RGB lighting. For me it’s the cost that’s the issue here, as the lighting in this particular example is probably costing close to half the 680X’s asking price. That seems excessive to me, as luscious as those LL120 fans are, and even with the ability to hook them up to Corsair’s iCUE software the move is still questionable. Seeing as this a subjective issue, I’ll throw a few questions out there. For starters, how much extra are you willing to pay for case lighting? Would you prefer to add your own, and do you think every RGB-enabled case should have a non-RGB option too? Let us know in the comments.